After a morning driving through the dry rocky valley of the highlands, we take a side road from the NR7 to Ranomafana. Suddenly there is forest, the air is fresh and cool and the road is the only good road in the whole country. The whole 30km of it. 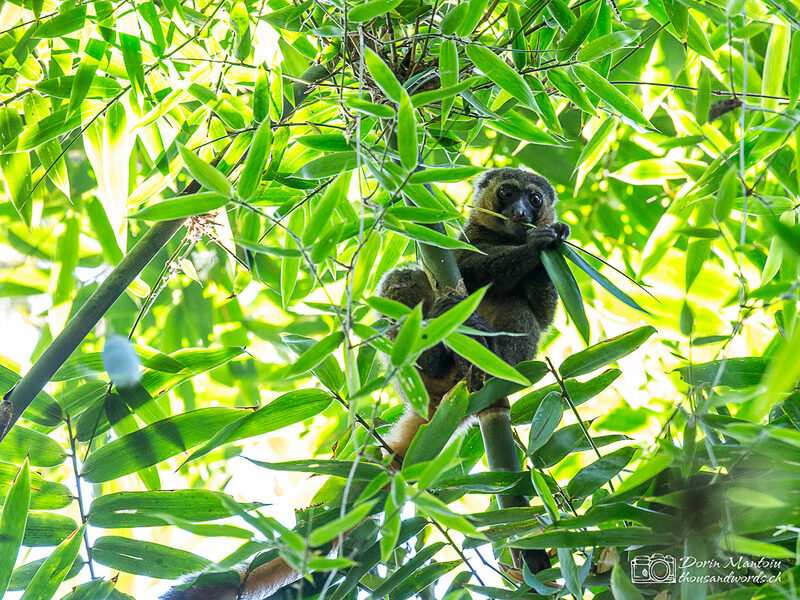 Ranomafana is another rainforest national park, that has been founded to protect the rare and extremely cuddly looking bamboo lemurs. 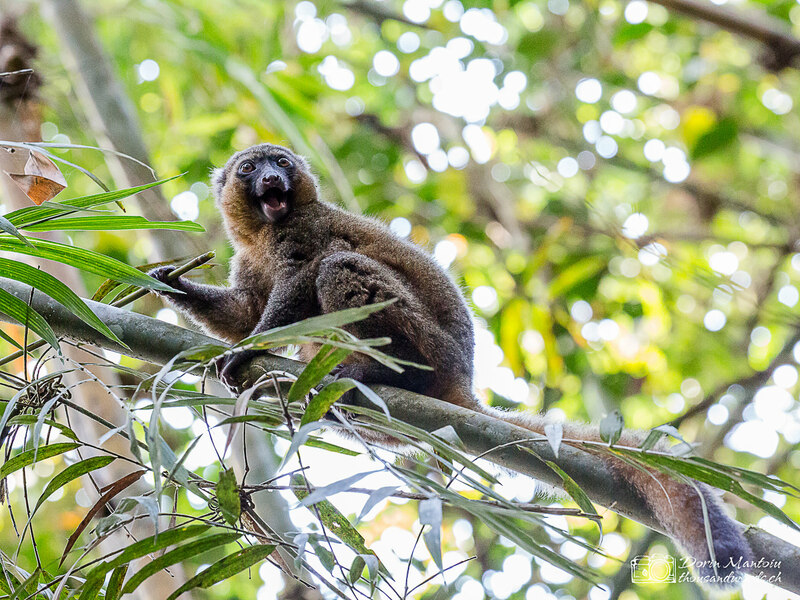 It’s a popular park, but as we start our visit in the afternoon, It’s only us, our guide, our spotter and a family of seven golden bamboo lemurs loudly chewing bamboo. 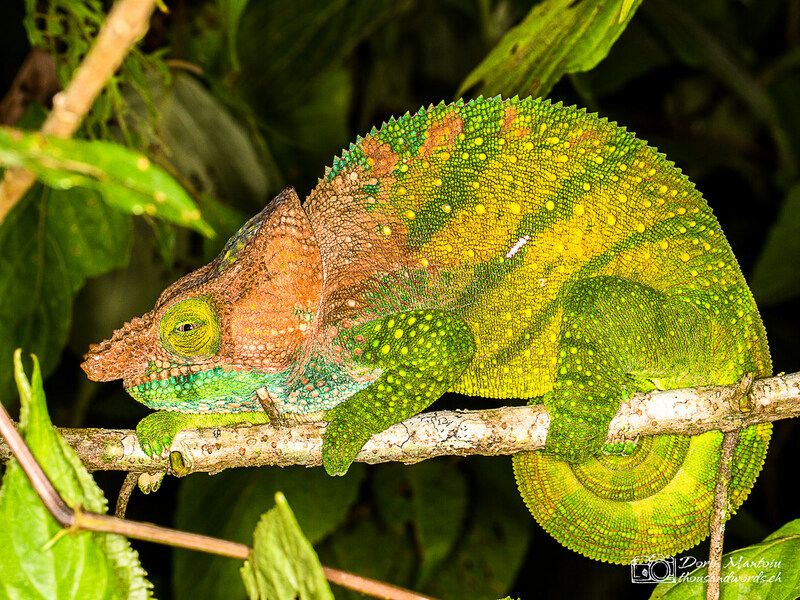 For our night hike, again along the road, we are two of many, but every guide seems to have his special spot. 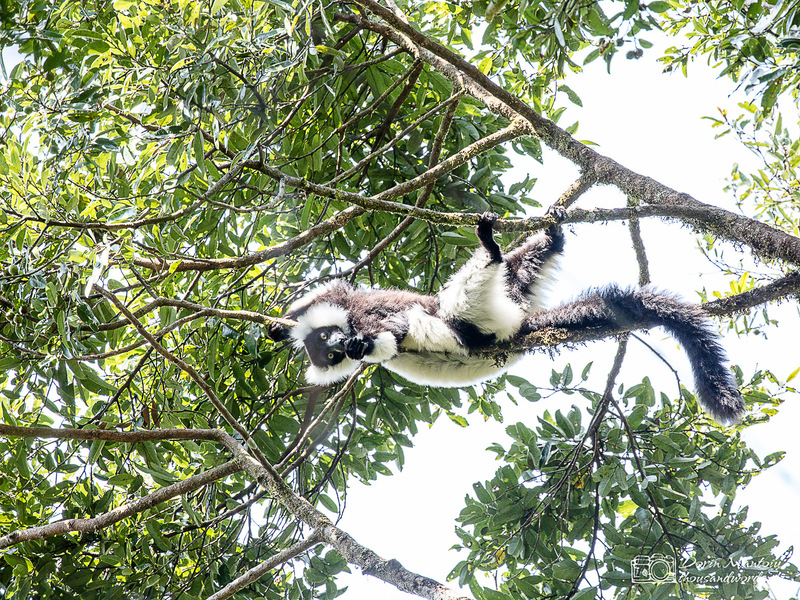 First, they carefully select a branch and rub it with banana. 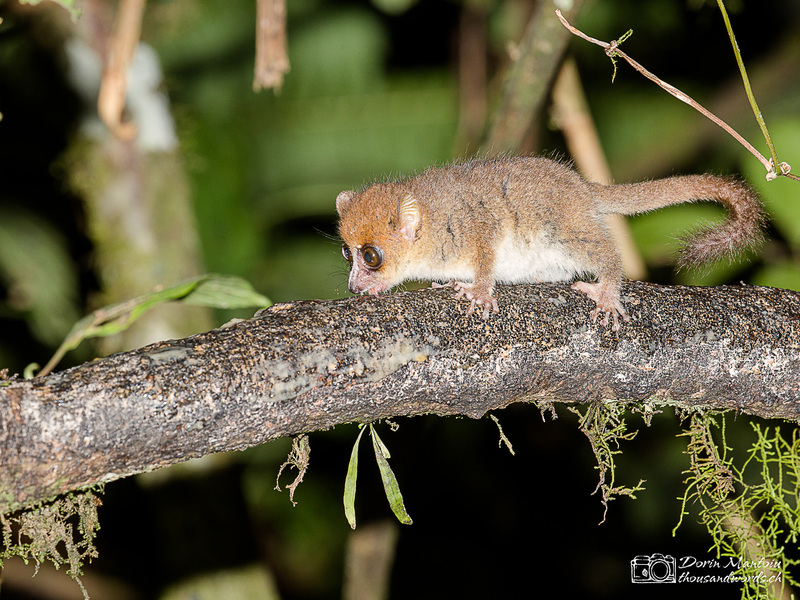 Then you wait for a couple of minutes and the tiny brown mouse lemur is all over it. 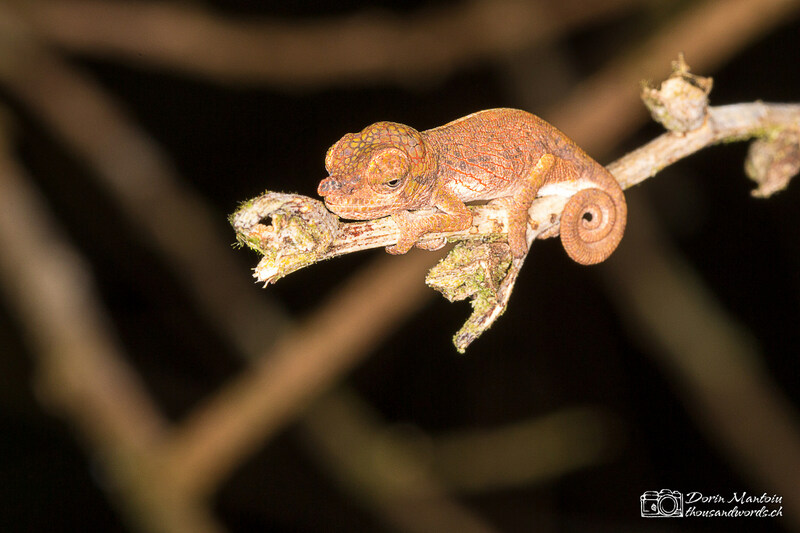 In addition we get to see many different chameleons, ending our night walk with a beautifully colored male chameleon. The next day we start early morning for another six hours to explore the park. Now everyone else is there as well. 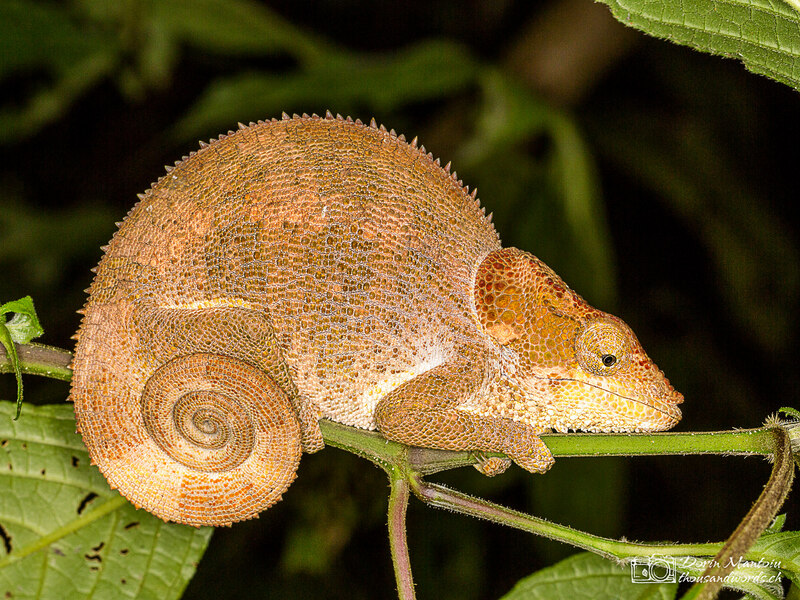 But our spotter does an excellent job in finding animals for us and then the best spot to photograph them. 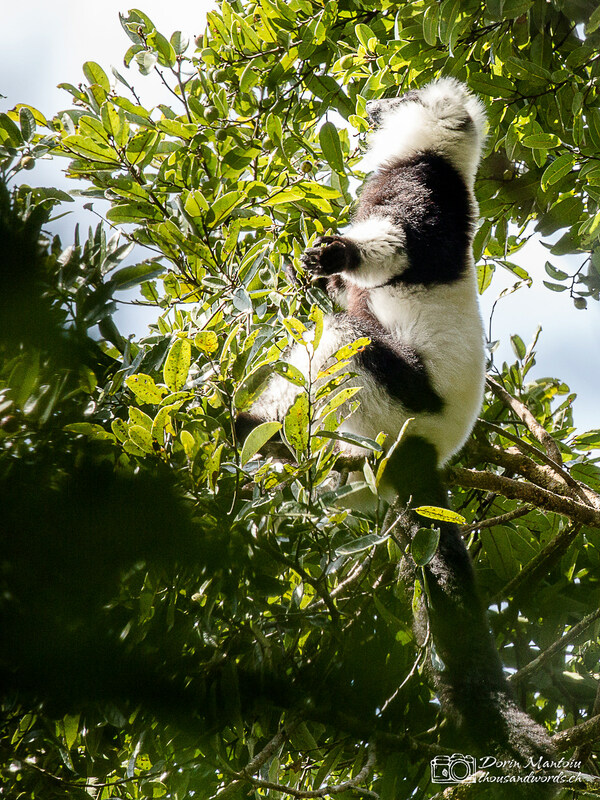 And as we take our time with each group of animals, we get some great photo opportunities. 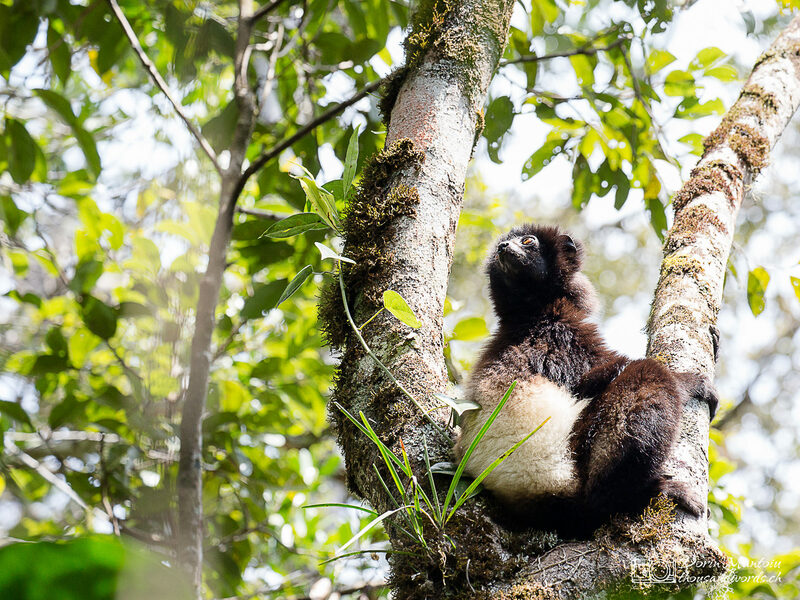 For example when then teenage black & white ruffed lemur wakes up and starts bothering its parents before then looking for the best spot to get some sun. 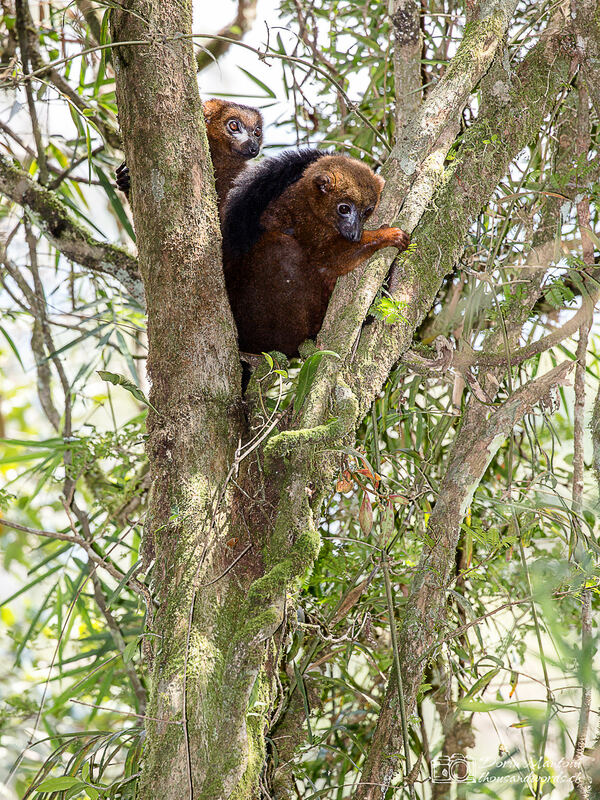 In addition, we get to see greater bamboo lemurs, red-bellied lemurs and Edwards’ sifaka. For later we had to work hard, climbing up and down the hills, getting acquainted with some thorny bushes. 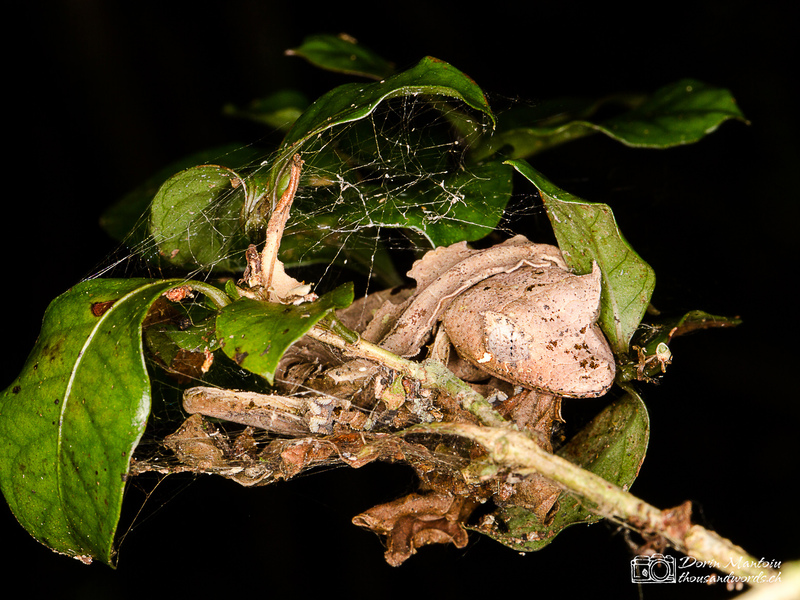 Also very cool, the satanic leaf-tail gecko, that looks like a dead leaf.